I took 3 days down after feeling dreadful and then did a blood test with inside tracker. This gave me some good insight into what was happening from a biological standpoint. I felt more at ease after reviewing my results. I had a few concerning levels pertaining to my liver and hormonal bio markers but overall I wasn’t in too deep. I did know that I needed to be careful over the course of the next month. I payed closer attention to how I felt but this didn’t trump the things that I felt I HAD TO DO to run well. After dropping out I sat on the curb, trying to process the events that had just transpired. Was I dehydrated, out of shape, over-trained, just plain sick, or scared? I was full of regret and full of questions. What were people going to think? How could I let everyone down? Where did I go wrong? I needed some time to figure this out. I took some time to rest with easy miles and then decided to pick myself back up. I am capable of qualifying for the 10k At the Olympic trials and that was my plan. Surely dropping out when I did would allow me to skip the lengthy recovery from running a marathon. Surely I would be just fine! After all, I didn’t run a full marathon, I have no excuse for being tired. In the weeks coming back, I began training with my beloved Wolfpack team. I jumped right back in and started to have good solid workouts. I felt good, until I didn’t. My legs had suddenly reverted back to the heavy crappy feeling they felt in January. Once again my confidence waned and my Olympic trials dreams were out the door. It hurts to feel like I wasted the opportunities I worked for this season. I hurts to think about how well I was running just 6 months ago. I have never raced in Eugene and I guess this would once again not be my time. Ultimately I had to make the decision to take a rest. Making that decision made me finally feel at peace with myself. It was the right decision despite what my desires would be. I had to think realistically and realize that there will be more opportunities if I keep digging the hole I’m standing in I will just keep getting deeper. Moving forward, I am excited to be thinking about the future. Thinking about what it’s going to feel like to start feeling good again! Who knows all of this work may finally come full circle if I just give my body a rest. I’m looking forward to the pain and suffering that comes with growing your fitness. The feeling when you hit your stride running at a hard pace that feels surprisingly smooth and easy . I am ready to move on. I am ready to think about what’s to come, including a new debut marathon. Indy monumental, Here I come! p.s. I will be racing this Sunday at the Rocket Mile in Rocky Mount to close my season. Thank you to everyone who has encouraged me through this rough time. Having family, friends, and teammates to remind me that they will always be there has made all the difference! My sister gave me the best compliment in the world when she compared me to my uncle and grandfather who have passed. I am reminded of this every time I question myself. So thank you! I have tried to put on a strong face. I have said the things I know I need to be thinking but I am still having trouble accepting it. It’s hard swallowing the fact that no matter what fitness I could have been in prior to racing, it probably would have ended the same way. At the same time, I can’t help but think that yesterday’s short coming was more than just being sick. Maybe I wasn’t ready, maybe I burnt out my legs, maybe I tapered too much. All of these I will never know for sure but either way I must move on. I know I will be asked how it went and I will have to put on a brave face and relive what happened but I know from my past that I will get over this. For the record, I dropped out just past halfway. My legs had been feeling heavy and dead since around mile 3 and I felt awful. Before the race I felt fine and I figured my chest cold wouldn’t bother me but just past halfway I suddenly felt like I couldn’t breathe. I panicked and it got worse. I couldn’t get air in and knelt down. I got back up but still couldn’t breathe. A lot of people told me I made a smart decision to stop but honestly, I would not have made that decision. I wanted to keep going and I would have if those spectators had not come to my rescue. They took me off to the side where a few of my Oiselle teammates happened to be cheering. They sat me down and got me water. Up until that point I hadn’t realized how weak I felt. At this point all I could feel was regret and disbelief that all the work I had put in had ended this way. All I could do was cry. When the medics got me, they checked me out and everything was fine so let me go as they left to attend to the numerous others who were dropping like flies in the LA heat. At this point I felt fine but was disappointed. My family headed back towards the starting area and my boyfriend and I left to collect my things and head back to the apartment. I worked my way through the masses until I finally got back to the VIP area where I picked up my bag from gear check. I watched the Women’s winners cross the finish line and then just wanted to be home. We were stopped on a corner in a mass of people unable to move any which way. I remember getting angry at a kid pushing people out of the way waving around his athlete assistance credential and that was when things went south. I told my boyfriend I felt really tired. Then I told him I needed to sit down and I collapsed. He caught me so I didn’t hit the ground and I never lost consciousness. I was positive I could get back up but before I knew it people were propping up my legs putting cold water on my neck and propping up my feet. Before I knew it the medics arrived and I was hooked up to an IV. I was shivering and cold and my part of my arms were starting to feel numb. The medic informed me I was having heat exhaustion and they would be transporting me to the hospital. After getting to the hospital and receiving fluids I began to feel better. It still hurts to know I couldn’t make it to the finish line of the event I had been dreaming about since qualifying at the Indy Monumental Half-Marathon back in November of 2014. Coach Pete Rea of ZAP Fitness in Blowing Rock, NC made a comment that no matter what happens at the end of any race, workout, or run, you have to find your small win. Whether that be that you finished it, or that you didn’t trip, you have to find the positives of each and every day if you want to get better. My win for yesterday is that I still have my health. I am still strong and I am still the same runner. While all of the work of the past few months did not come together for this event it will come together for the rest of this spring. The marathon trials may not have been in the cards for me and that is all right because everything happens for a reason (thanks Tierney for these words of wisdom). I still have a shot at being in Eugene this summer and I will do everything in my power to make sure that happens! As for my teammates, I am incredibly proud of all of them! I am so blessed to be among 18 strong amazing women that were able to qualify and I know this is just the beginning for all of us. 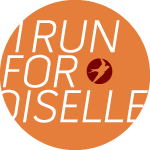 Oiselle has made created an atmosphere to help women thrive in both life and in pursuing dreams. If yesterday wasn’t evidence to that then I don’t know what else is. As for the marathon, there will be a debut marathon (take 2) in my future, guaranteed. My last race of my collegiate career was one I try not to think about too hard. That devastating last race came 2 days after a 13th place finish (top 12 qualify for nationals) in the 10k at regionals, an event I had qualified for nationals for in the previous 2 seasons. I carried the feeling of defeat I felt after my 10k into my 5k and as I stood on the start line I felt the world falling in on my shoulders. I had already lost that race before it started. In the hours and days after that race I felt like my feet had been pulled out from under me and I was lost. I couldn’t believe my collegiate career was over just like that. It took me a couple days to come to terms with what had happened but after the fact I realized this wasn’t going to be the end for me. When I started at NC State I was a good runner but not a great runner. I wasn’t nationally ranked and my times were middle of the road for collegiate running. Most people wouldn’t have had me on the radar for becoming an All-American and after my freshman year, no one, including myself, would have thought I had shot at even an All-ACC finish. However, in the years that followed things began to change. My sophomore year I was placed on a gluten-free diet for medical concerns. Then in my junior year I finally saw the light. In the months prior to my 2011 spring track season I got back involved with my church, regularly attending and finally actually understanding the message. I was regaining a relationship with God and it started to play out on the track. I put my trust in God and began pursuing each race with him in mind and it was almost unreal what happened. 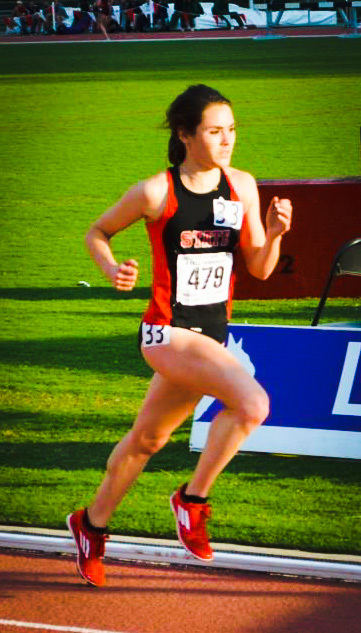 I placed 2nd at ACC’s that year, dropped over 2 minutes off of my previous 10k time, and finished it off with a 2nd Team All-American finish at nationals. I could barely believe I was even in contention for nationals going into that last lap at the 2011 NCAA regional championships. When I stepped across that finish line I realized, God has more in store for me. Coming off of a 3 min PR in the half and taking that step toward qualifying for the US Olympic Trials I am so excited to keep getting out there. 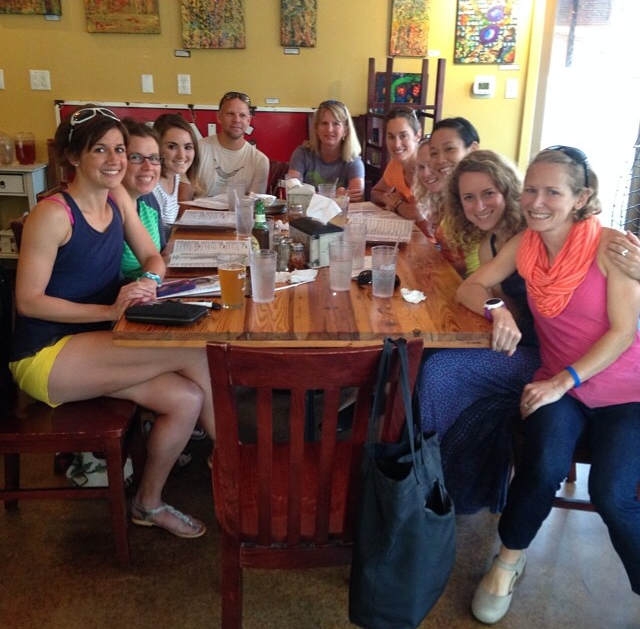 I have found since joining Oiselle that the community of strong women has really made all the difference. I feel driven and excited by all of the inspiring Oiselle athletes and I hope I can do the same. Good News: Im turning 42! So over the course of the last month or so God has granted me 4 exciting, scary, amazing & life altering things that I am finally ready and have the time to share. First, I purchased my first car, and got a loan for it completely on my own. Second, I accepted a new job at Stewart Engineering working with Bicycle & Pedestrian Transportation. Third, I officially became part of the Oiselle Running Team out of Seattle Washington, a goal I have been pursuing over the course of the last year. Then fourth… I bought a house… yes a house and hence why instead of turning 24 in two weeks I am turning 42. It’s crazy to see all of these things happening at once but I believe God has his ways. Amongst all of this craziness I have found the time to bake here and there but not the time to post any of my recipes that I have been promising so sorry to everyone but I promise sometime in the future I will. Yes that was vague but I have no idea when that will happen. 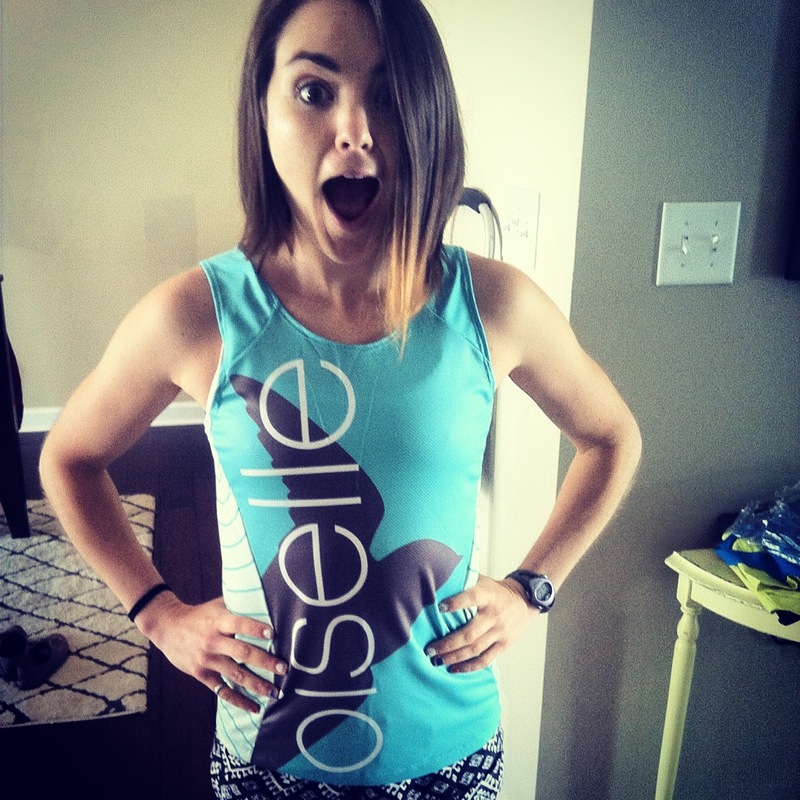 Tonight I am racing for my first time in my Oiselle uniform and I hope to wear it proudly. I’m nervous as I have only had a few workouts prior to this and mainly been working on building my mileage but I’m just having faith for this one. This post is a bit all over the place but I also wanted to mention the incredibly exciting event happening next week: The Sir Walter Miler. This event is showcasing elite professional athletes in the mile and while I’m not a miler I feel more than honored to be considered an elite for this race. I will be racing among some extremely talented women and while I don’t know what to expect, I at least hope if anything I can come away from it having impacted a few young athletes out to watch the race! If you happen to be in Raleigh I would seriously suggest coming out. Even if your not a track person there will be local breweries, food trucks & basically a party going on throughout the night. See sirwaltermiler.com for more details! 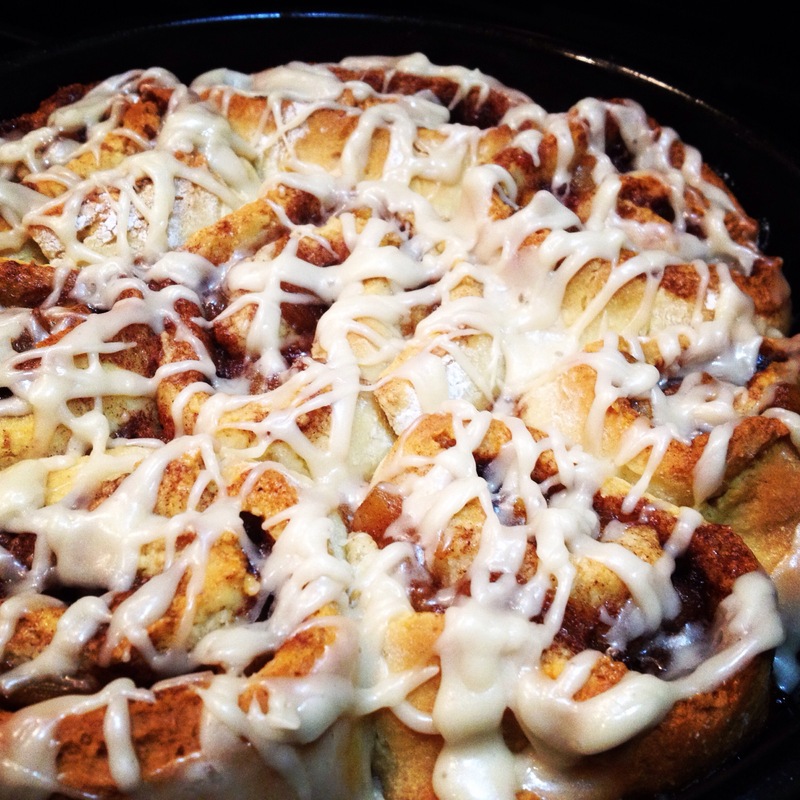 Looking at the above picture you are probably thinking of the classic gooey cinnamon roll that is filled with a sweet brown sugar, buttery, cinnamon filling and topped with a vanilla glaze that melts into the soft yet crisp biscuit like dough. 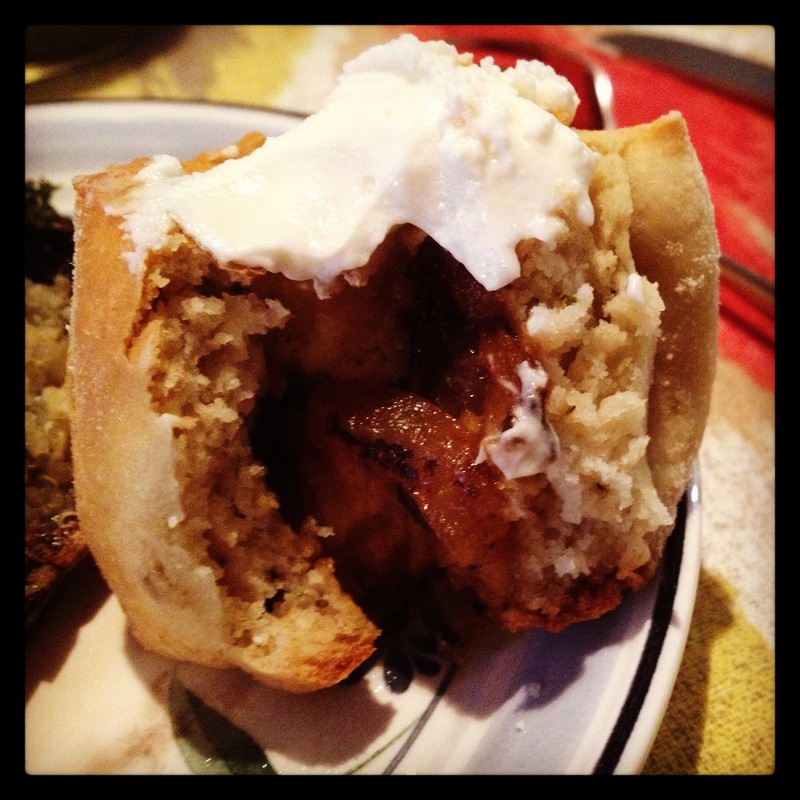 However what you don’t know is that this is not your normal cinnamon roll… it’s an Apple Pie Cinnamon Roll! 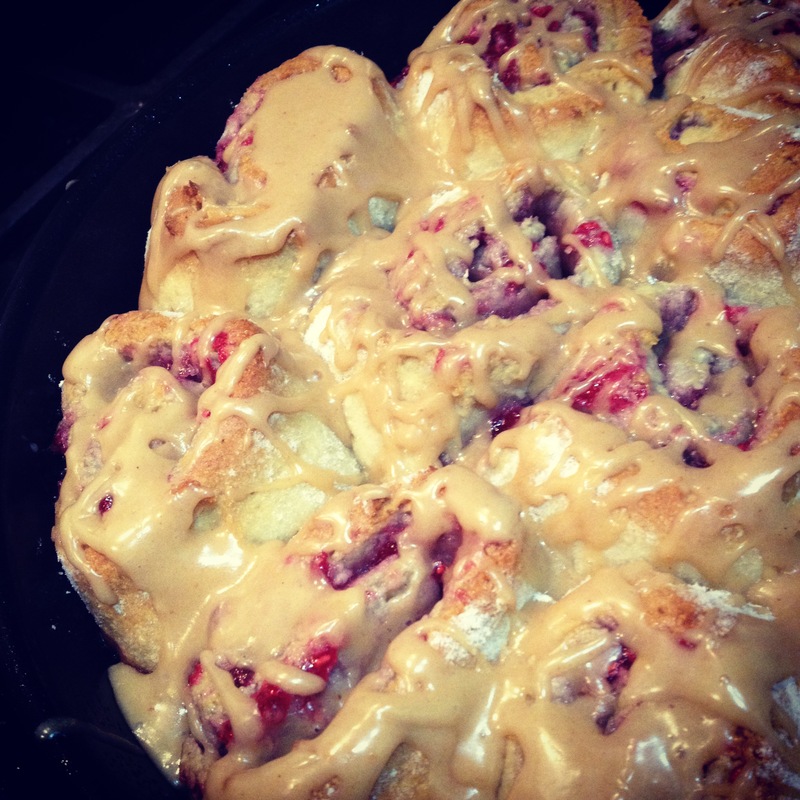 PB&J Rolls. These were filled with Joanna’s Almond Raspberry Jam and topped with a frosting made of powdered peanut butter, powdered sugar, vanilla & almond milk. I was too full to eat one these little guys after dinner so I saved it for breakfast. This roll in combination with my cup of cocoa coffee from Trader Joes was definitely the perfect breakfast! Think these rolls sound/look good well just wait there are plenty more to come! Being that I am trying to step up to a new level of competition I have been trying to maximize my potential by getting my diet right. I always ate relatively healthy before but I never fully considered pre and post run nutrition. For endurance athletes, going on a 9 or 10 mile run everyday with long runs and tough workouts thrown in there, recovery is extremely important. Because prolonged activity tends to wear down the muscle as our bodies draw from anything it can, our muscle NEEDS an adequate amount of protein to stimulate muscle synthesis and repair any damage. You are probably thinking “Damage?? Running is damaging my muscles? ?” Well depending on how hard and how long you have been running or participating in an endurance sport cortisol begins to break down the muscle and causes muscle soreness. However, protein after a workout will block the production of this hormone and add the essential amino acids needed to help build muscle. Sports nutritionists suggest getting this with 15-30min of exercising as this is the optimal window for muscle synthesis. In addition, getting protein in that close to a hard workout will actually help your metabolism stay steady and lengthen you satiety, I’d say that is a double bonus! Garden Creations – This protein powder is lactose, gluten & soy free and is made from pea, rice & hemp protein. At less than 150 calories and 25g of protein per serving this a great choice. I suggest it with almond milk as it doesn’t mix well with water. I drink it with 8 oz of almond milk vanilla light which adds only 60 calories and tastes great with the powder. Some of the powder sometimes settles at the bottom so shake well. Nectar Kiwi Strawberry – This is a whey protein powder which is derived from milk however this blend does not contain any gluten, lactose or soy. I just bought this for the first time and am still formulating an opinion but so far I can say that it mixes well and can be completely dissolved in water without any gritty or weird taste. The flavor actually reminds me of strawberry jello! Coming in at 100 calories per scoop and 24g of protein this is a good option that won’t ruin your lunch or dinner. This brand has several flavors which I plan to try if I find that this protein powder is working well. This powder is low carb in case anyone was wondering.. Core Power – I loved the core power shake I tried and love that they have far less ingredients than most protein shakes. These are lactose free but use real milk and the protein from real milk. Also of course gluten and soy free, I loved the taste of the Chocolate Light version and can’t wait to try more of the flavors. The light versions have 20g of protein and 150 calories and the regular versions have 26g of protein with 240 calories. Quest Bars – These bars may take some getting used to but I personally love them. Most boast around 20g of protein with 160-210 calories depending on the flavor. With flavors like cookie dough, cinnamon roll, cookies and cream & several more its awesome to see that they are still gluten-free! I have found that bars are the hardest thing to find gluten and soy free and within a reasonable range calories wise. ALT Bars by Larabar – These new bars by Larabar taste great and are made from only a few ingredients including pea protein. At 10g of protein these are an excellent snack and can be used for recovery after moderate exercise. These bars are gluten and soy free. In addition to tasting great these bars are also easy to find. Buy them at your local target, whole foods, Kroger or Harris teeter! Check the website for flavors.